The International Space Station is about to receive some new personnel as three fresh astronauts blasted off towards the satellite hovering in near-earth orbit. 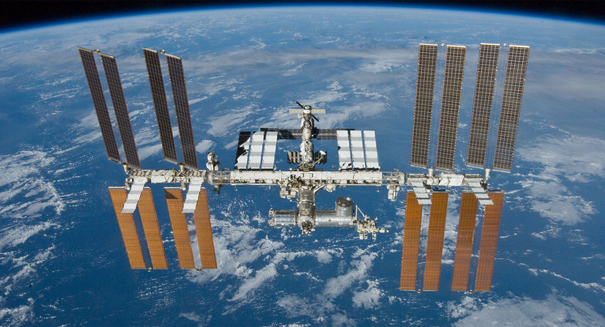 The researchers working aboard the International Space Station are about to get some relief. According to a report from Space.com, a Russian rocket launched this morning carrying two experienced astronauts and the first-ever British astronaut toward the ISS. The mission will last for six months, with American astronaut Tim Kopra from NASA, British astronaut Tim Peake from the ESA, and Russian cosmonaut Yuri Malenchenko taking off from the Baikonur Cosmodrome in Kazakhstan. The trip to the ISS from the surface of the Earth takes about six hours to complete. Malenchenko is the undisputed veteran of the group, having flown into space a total of six times. Malenchenko will pilot the Soyuz TMA-19M rocket, bringing the members of the Expedition 46 mission to the ISS. According to NASA, the flight went off without a hitch. When the researchers arrive on the space station, they will be greeted by the present commander Scott Kelly from NASA and Rusian cosmonauts Mikhail Kornienko and Sergey Volkov. Kelly and Kornienko only have a few more months left on the space station, and Kopra will take the reins as commander following their departure. The rocket will arrive at the Russian segment of the ISS around 12:30 p.m. EST, and the hatches will open roughly two hours later. The landing and onboarding of the three new astronauts aboard the International Space Station will be streamed live on NASA TV later today. A press release from NASA describing the launch and the preparations leading to it can be found here.